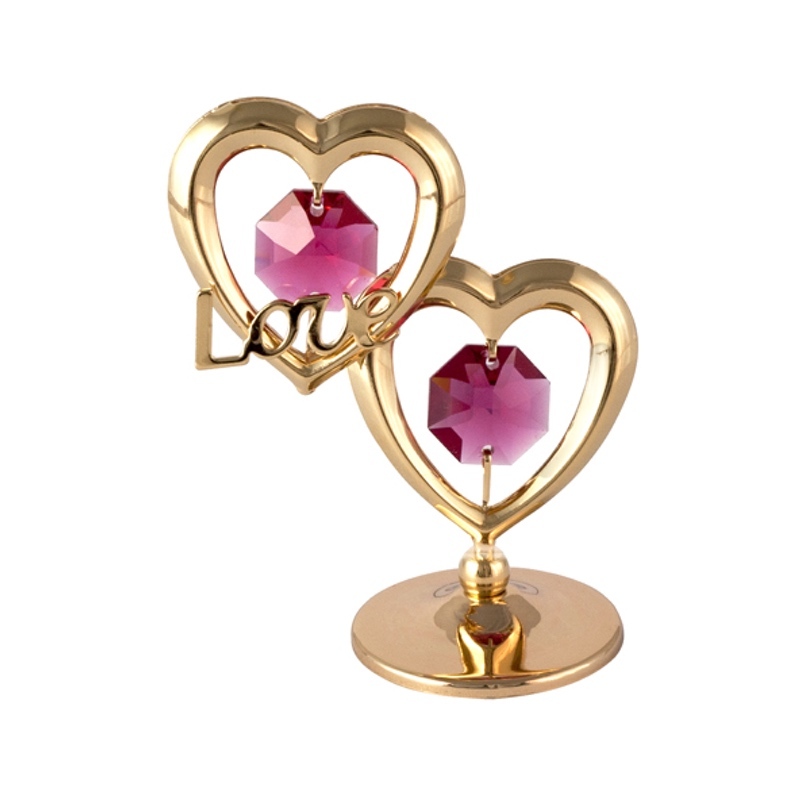 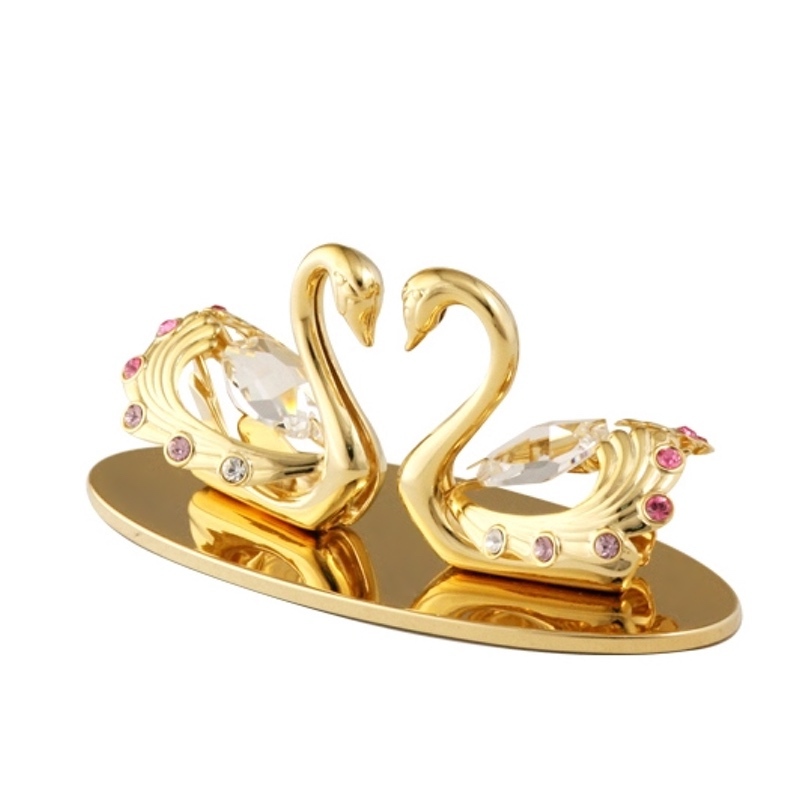 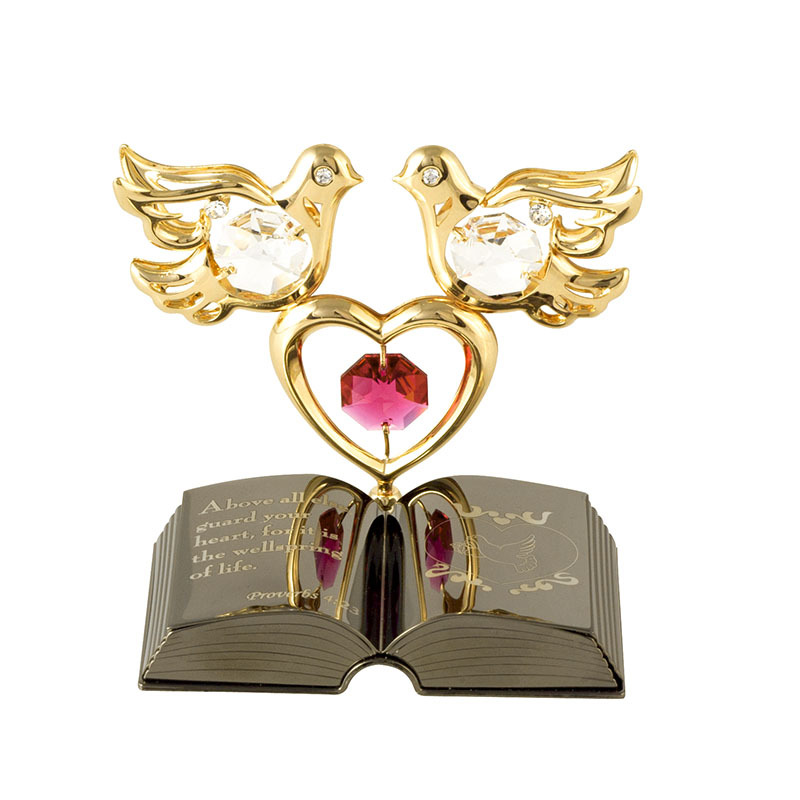 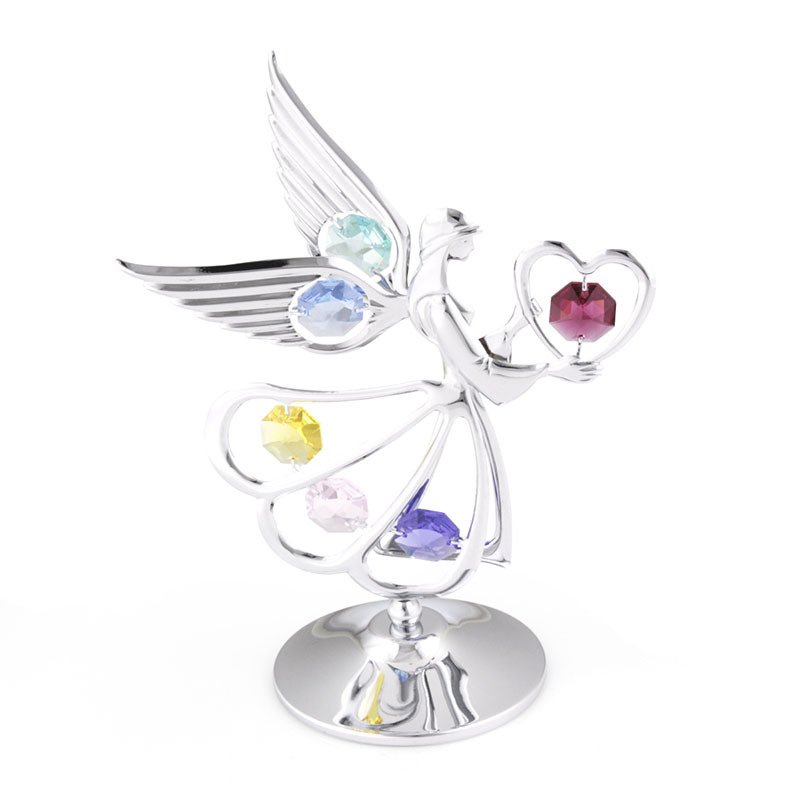 This Love Doves Crystal Figurine is made with excellent metal craftsmanship. 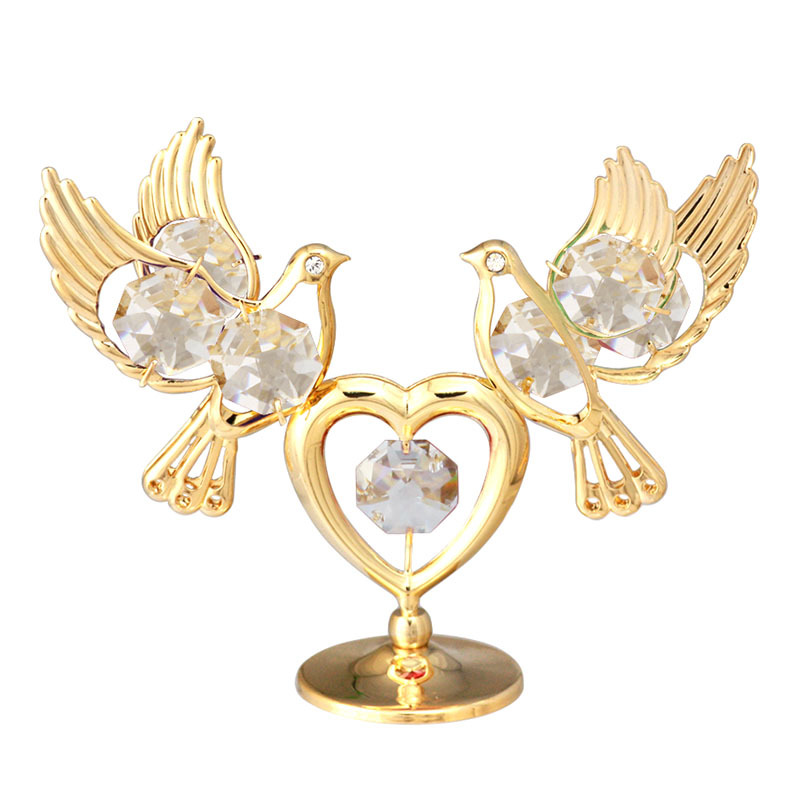 The Love Doves Crystal Figurine is decorated with 3 octagonal Swarovski crystals and crystal rhinestones on the eyes and wings. 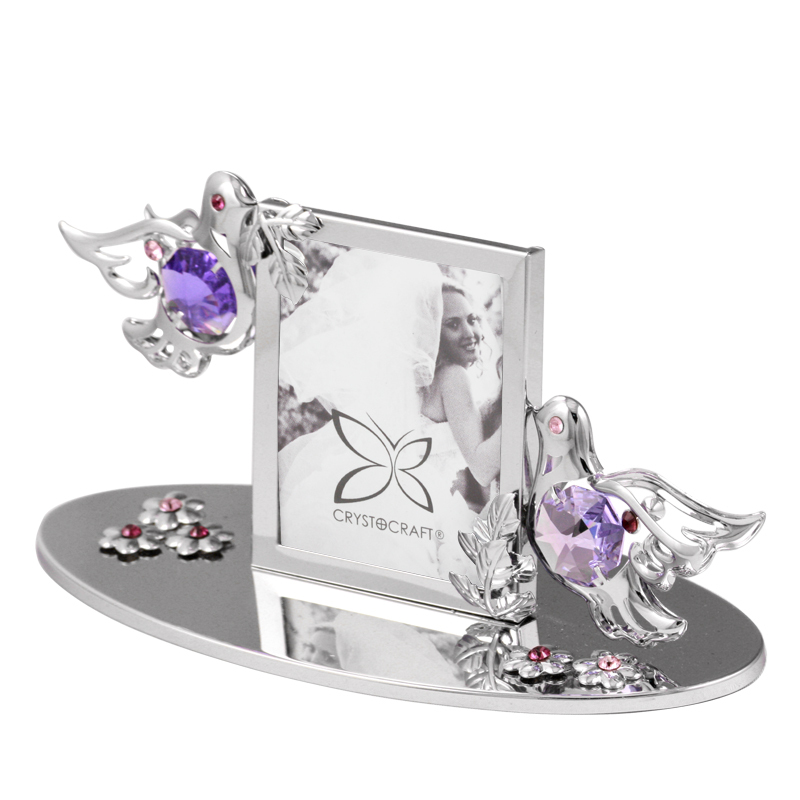 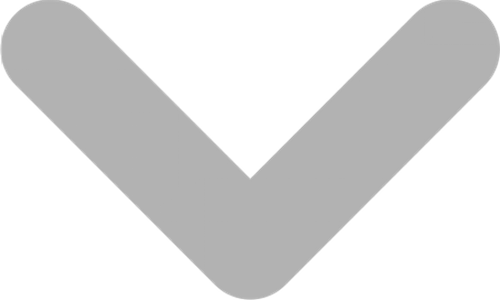 The base can be laser engraved with personalised messages.